One thing that should be at the top of your packing list for South America? Your appetite. Just ask Tour Director Jorge, a local Argentinian and one of the experts who will be leading our brand-new Food & Wine Tour of this culinary paradise. Here, Jorge talks about the cuisine travelers can expect to savor on our new Food & Wine: Uruguay, Argentina & Chile tour. Go Ahead Tours: What makes this culinary adventure in South America unique? Jorge: I have been hoping to have a Food & Wine Tour in South America for a long time and finally my dream came true. I am very excited! South Americans are very sociable and sitting around a table to share a meal, a glass of wine, and good conversation is one of the “sports” we like the most. Which types of notable wines can travelers expect to sip on this journey? South America is considered among the New-World wine regions, but wine has been part of our culture for more than 500 years as winemaking was established shortly after the first European immigrants settled here. Today, Argentina and Chile are two of the largest wine-producing and wine-exporting countries in the world. Travelers will taste cutting-edge varietals such as Tannat in Uruguay, Malbec in Argentina, and Carménère in Chile—among many other regional wines—and experience their perfect food match with local cuisine. What makes visiting an authentic bodega, or family-run winery, such a special experience? By visiting a family-run winery you get in touch with the history behind the wines. Travelers will experience the passion and love for winemaking that is passed from generation to generation. Getting to know about the human effort and time behind each bottle of wine will help travelers better understand why wine is such a passionate beverage. It is a way of living. All these last years, I have visited many wineries with my wife, who is a sommelier and works in the wine business. I’m still moved when I hear stories of families that started their wineries from scratch. What are some of the most important ingredients in South American cooking? To better understand South American cooking, we should go back in time to realize that it comes from the encounter of two worlds: the native South Americans and the immigrants, mainly Europeans and also Asians, like those in Peru. This mixture created a new, dynamic, and independent cuisine that is constantly changing and growing. Ingredients will range from beef, lamb, trout, salmon, and seafood to more than 200 different types of potatoes and spices such as ají Amarillo (medium-hot orange chilies), rocoto peppers, or merken (a type of smoky Chilean spice), just to mention a couple. Many travelers might have preconceived notions about what South American cuisine is like (it’s not all like Mexican food!). What are some of the authentic dishes they can expect to try? Actually, South American food is very different from Mexican food (which is also delicious!). Travelers need to get ready to try the Chivito Uruguayo sandwich, Uruguayan and Argentine barbecues (and then tell me which one they like the best! ), empanadas, humitas, Chilean salmon and sea bass, and ceviche. 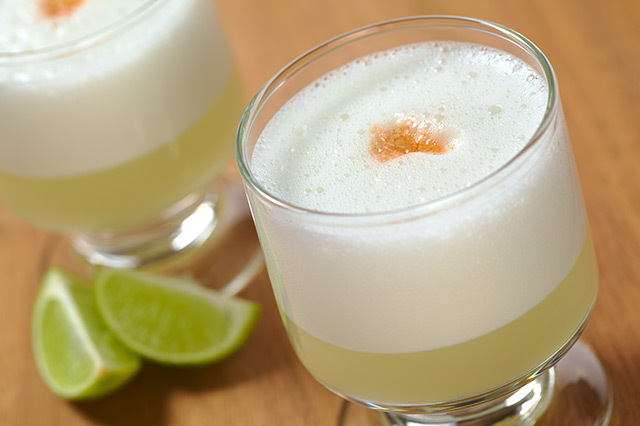 There are so many other surprises including the drink known as mate (a local, caffeine-rich infusion) and the Pisco Sour cocktail. What sets the culinary traditions of Uruguay, Argentina, Chile, and Peru apart? In Uruguay and Argentina, mainly in the Rio de la Plata area, the European influence stands out. Italian and Spanish cuisine is very rooted. Uruguay and Argentina are two of the world’s main beef exporters and also the two biggest beef- and veal-consuming countries—more than 90 pounds per capita per year! On the other hand, Chile is more a fish and seafood country. In fact, Chile is the second-largest world producer of salmon. In the case of Peru, the country’s food is the result of more than 500 years of cultural exchange between the Peruvian natives, Spanish, Africans, Chinese, Japanese, and Italians, among others. Travelers on some of our Latin America tours also have the chance to visit an Argentine estancia. Why is this such a special opportunity? Visiting an Argentine estancia (family-run ranch) is a must-have experience to eat asado (barbecue) and learn about our folkloric traditions and gaucho culture. The gauchos were nomadic horsemen on the Pampas, which are vast plains that Argentine writer Jorge Luis Borges called “the only place on Earth where God can roam at large.” On the Estancia Visit: Argentine Barbecue & Gaucho Show excursion, we’re hosted by ranch owners who share their traditions and histories. Any restaurant recommendations for foodies who want to fill their free time in South America with even more culinary experiences? There are so many! I can list a few of my favorites: Mercado del Puerto in Uruguay for meat lovers; Güerrin in Buenos Aires for an authentic Argentine pizza, as well as Cadore ice creams and Don Julio restaurant; Mercado Central in Santiago de Chile for fish and seafood; and Central in Lima, Peru. What’s the best thing you’ve ever eaten on tour? Tell us in the comments!